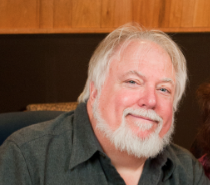 Bob has been active as a producer/engineer in the Washington D.C. area for over 40 years. As founder and chief engineer of Bias Studios, he has had the opportunity to produce and/or engineer over 80 big band records including Afro Bop Alliance featuring Dave Samuels (Latin Grammy Winner) and a soon to be released Jazz Ambassadors cd with Sammy Nestico. Other big band credits include Bobby Caldwell, the Alan Baylock Jazz Orchestra, Mark Taylor and the BigBand, Taylor/Fidyk Big Band, Steve Williams Jazz Nation with Eddie Daniels, Mike Crotty, Bill Potts, the Falconaires, Airmen of Note, Army Blues, and the Navy Commodores. His projects across all genres have garnered multiple GRAMMY wins as well as five nominations for his production work with singer/songwriter John McCutcheon. Additionally, he has numerous gold and platinum releases from his work with Mary Chapin Carpenter, Chuck Brown and Dave Matthews. His long-time collaboration with guitarist Nils Lofgren contributed to Nils’ recent 10-cd compilation release, Face the Music.